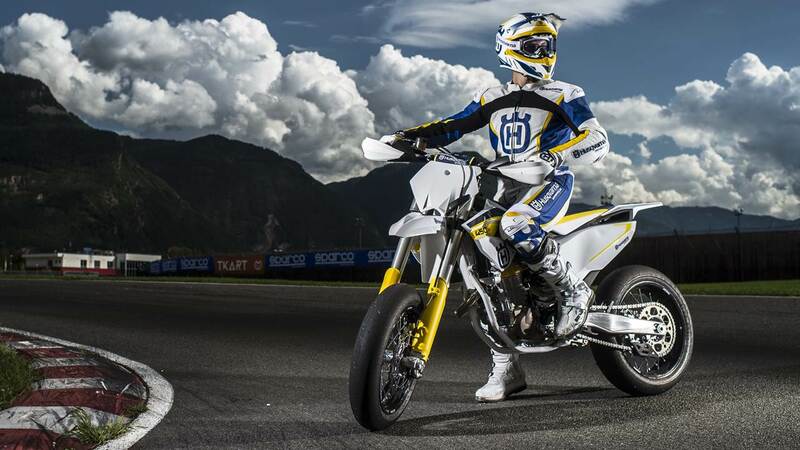 Making a timely return to the Supermoto sector Husqvarna launches the FS 450 – a technologically advanced machine based on the FC 450 motocross bike. Featuring numerous lightweight, premium components in its construction the FS 450 sees Husqvarna step forward with an exciting new machine. Combining a lightweight chromium molybdenum frame, durable three-piece injection moulded subframe and cast aluminium swing arm, the bike offers superb handling and ridability characteristics. Delivering maximum comfort and excellent rider feedback the FS 450 ensures racers can focus on increasing their speed, lap after lap. Complementing the bike’s razor sharp handling the compact 450cc SOHC engine delivers strong power. Producing 60hp, featuring a precise five-speed gearbox, electric starter and Adler slipper clutch, the FS 450 guarantees race-winning performance at every level. WP suspension ensures the finest damping comes as standard on the FS 450. The fully adjustable 48mm closed cartridge front forks – with supermoto-specific settings – provide 280mm of travel. When paired with WP’s high performance rear shock they ensure precision and consistency in all conditions. Finished off with Brembo radial brakes, Metzeler tyres and Husqvarna’s stylish, sharp and modern bodywork, the all-new FS 450 is guaranteed to turn heads everywhere it goes. 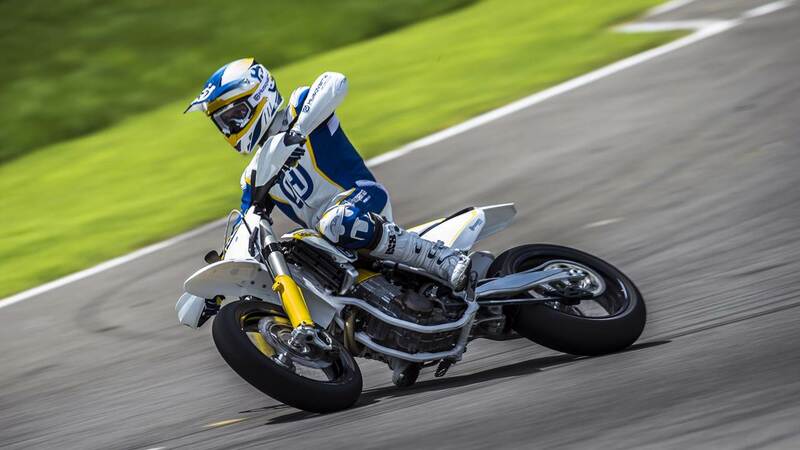 Dominant in Supermoto sport when it first became an officially sanctioned World and European Championship, Husqvarna – the brand born in Sweden – returns to Supermoto with the technologically advanced FS 450. The FS 450 becomes available from October 2014, priced at € 9,895.00 (price for Germany).